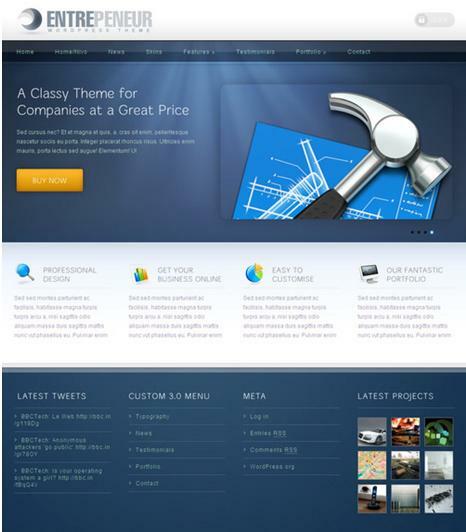 The BlueWood theme is a powerhouse of features that make it adapt easily to the customized needs of each customer. 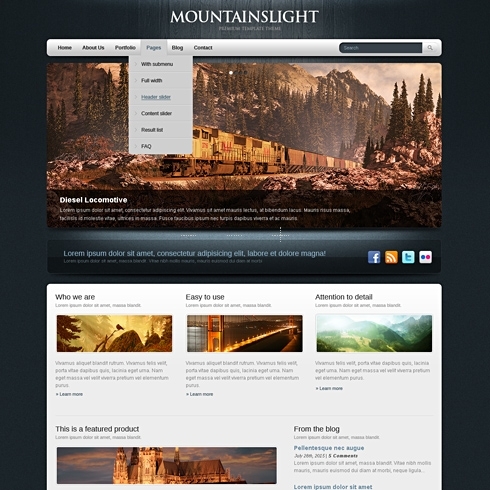 Further, the theme is WordPress 3 ready and has configuration options that run over the number hundred. • Custom Menu Support– The theme has a customized approach towards the menu, making users conveniently figure out the settings of options panel, without seeking the services of a professional. • SEO Optimized– The theme has features that are search engine optimized, arming it with a state of the art marketing edge. This makes a website feature in the top searches of search engines, thereby drawing more visitors. • Widgetization– The theme boasts of a complete support for widgets. Widgets go a long way, in establishing a user friendly image of a website, which per se, leads to a large number of visitors. • Adaptability With Web Browsers– The theme also endorses a high degree of compatibility with the leading web browsers namely Internet Explorer, Firefox, Opera, Chrome and Safari. • Logo Customization– The theme enables users to even have a customized logo for themselves, by providing features like multi colour text and easy graphics. Further, the 23 web fonts along with Cufon font replacement, make a customized logo just a few clicks away. • Favicon Supported– The BlueWood theme is Favicon integrated which enables customers to have a logo on the address bar or on the tab menu. • Supports .PSD format– The theme can read files of the format of .PSD, via Adobe Photoshop. The .PSD files included in the theme are not only layered but well organized as well. • Customized Footer codes– A custom footer code endorsed by the theme is the reason behind facilities like Google Analytics and Google Maps, that can be availed of by the visitors. • Customized Header Codes– The theme sports a customized header code to enable theme users to track orders and get web stats. The theme along with its high degree of compatibility with major softwares and digital devices like iPad, iPhone and Android, also offers support for the installation of various plug-ins. The theme takes a long time to download due to the presence of numerous images and excessive data. The starting range of the theme is $29.95.